If you've run some ISP Speed Tests on your network already (or if they've run automatically), you may have noticed some beautifully coloured bars appear on your chart! Each gradient actually represents the status of your network during the time the speed test was run. The fastest speed test from your selected time frame from (24 hrs, 7 days, or 30 days) will always appear with a green gradient. Conversely, the slowest will be red. The results in between these two will appear in purple. Additionally, manual speed tests will appear with an "M" on top of the graph. 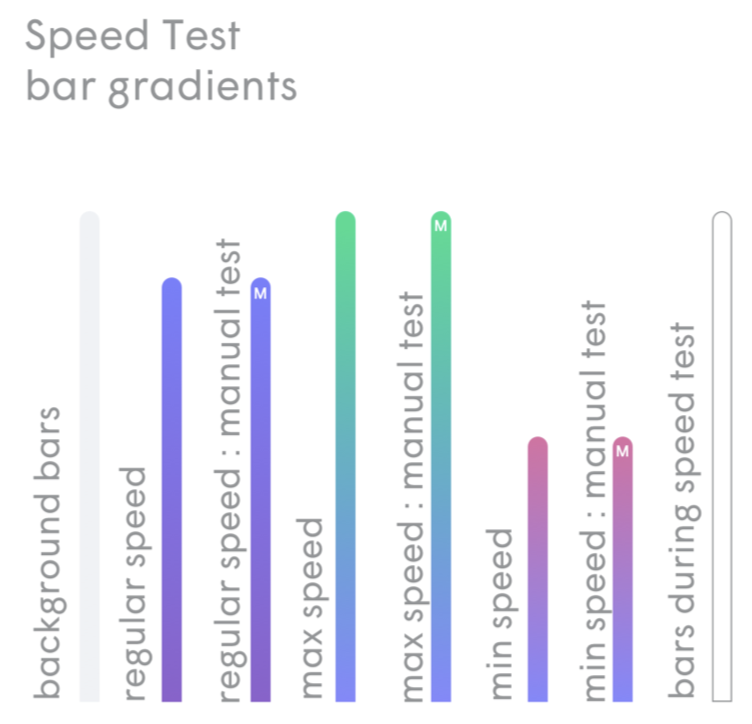 Note: When many speed tests are run in a short amount of time, the results may be averaged into one bar to avoid overpopulating the chart.